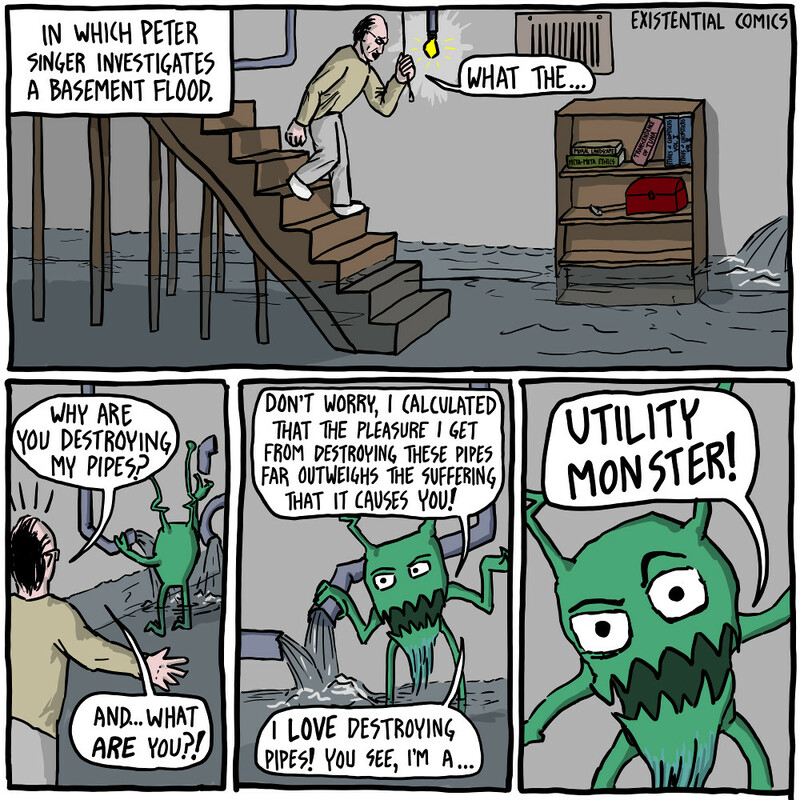 A Utility Monster is a thought experiment by Robert Nozick, which critisizes utilitarianism. He asks us to imagine a monster which recieves more utility (more pleasure basically) from each unit of resources than any humans do. It is therefore logical, and indeed morally required, to give everything to the monster. For example, if we had a piece of cake, the Utility Monster would get 1000 times more joy out of eating it than any human, so the action that would cause the most total pleasure would always be to give the cake to the monster. The pun based 'Utility Monster' depicted in the comic gets a great deal of pleasure from destroying pipes. Apparently that pleasure is so great it outweighs the pain it would cause us to have the pipes destroyed. Since that would still result in more net pleasure, it is morally required to destroy the pipes. Peter Singer is a contemporary utilitarian.